I would like to send a letter to all religious exemption parents (all shots, and single shots), how can i query that ? I'd like to send letters for the MMR religious exemption parents, how can i query all shots (single shots too) ? By the immunization query. You can query everyone that doesn't have MMR Complete. Thank you. This was helpful now that i sent a letter for the incomplete students, how can i send a letter just for the religious exemption or medical exemption parents ? Simple, Run these two queries. 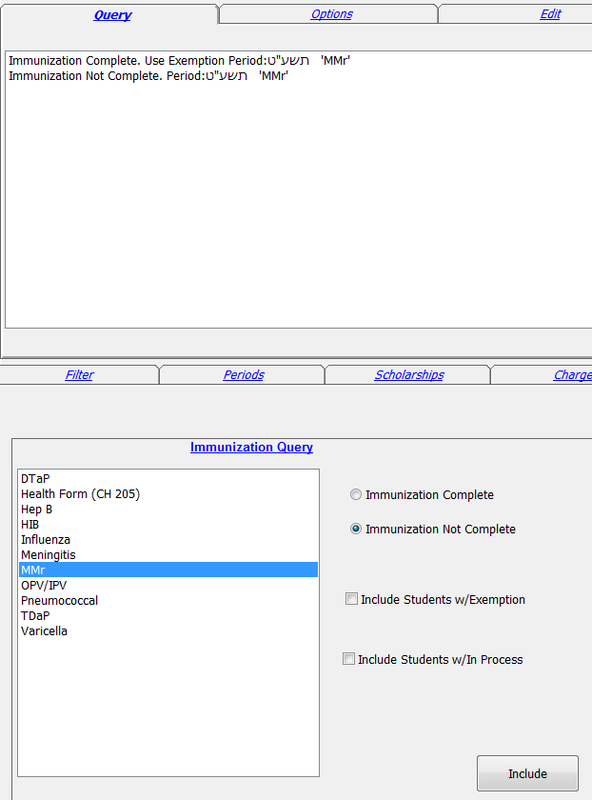 Immunization Complete with exemption box checked in, Immunization not Complete without exemption box.